Most people are aware of the health benefits of doing sport, yet too few people actively participate regularly enough to derive the positive benefits from it. Well, here’s a list to inspire you – the most popular participatory sports in the UK. While men and women differ in their choice of sport, it is possible to give a general idea of the top ten participation sports of the nation as a whole, largely using the information available from various research in the UK, although we appreciate the list is still open to debate! Walking – is considered the most popular sport. We are not just referring to people who as a matter of routine take a walk to the shops or to work, but rather to people who actively walk a reasonable distance purely for recreational purposes, often taking to the countryside for a ramble. Fishing – also known as angling in its many forms. It is considered exceptionally popular, with many people of varying ages taking to the rivers, lakes, canals, and shores. It has predominantly been considered a male domain, but is growing in popularity with women. Cycling – we are all told more often than not to ‘get on our bike’, and that is what people have been doing. Bikes of all descriptions –from mountain to road to BMX – are all exceptionally popular, and a good means of getting a good cardiovascular workout. 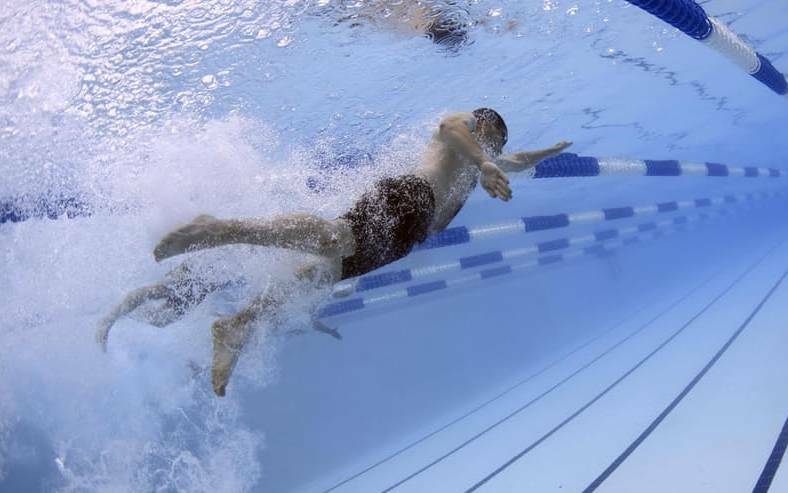 Swimming – a superb all-round workout for the body, which is accessible to people of all ages. It is a good means of recovering lost fitness gradually without putting too much stress and strain on the body. Football – few things can rival football as a spectator sport, but this is also matched by its popularity at grass roots level, with many people of all shapes and sizes taking to the country’s parks every weekend. Golf – an exceptionally popular sport proven by the difficulty at times of securing a round at many municipal golf courses, and waiting lists at many private clubs. It has however, become less of an elite sport, with an explosion in the number of practice driving ranges giving people a chance to try and master some of the basics before hitting the course. Weight training/keep fit – many people start off with good ambitions and sign themselves up for a fitness centre membership, but then fall by the wayside. However, the number of people involved is still huge with health and fitness complexes proving big business. Running – an almost cost-free means of exercise. All you need to invest in is a good pair of trainers and then there are endless miles of road and countryside to stretch your legs. If starting out, make sure you do it sensibly (by consulting our running section!) and build up gradually. Squash – a really fast moving game providing an excellent workout. You only have to check out the amount of sweat coming off the players after a game to see that this is the case! Courts are available for reasonable prices at most leisure centres. Tennis – another sport viewed as an elitist one, but this is far from the truth. There are many public facilities available at low cost, and the cost of a club membership is not excessive. The numbers of people actively playing the sport is on the increase, particularly among the young, with a number of initiatives aimed at getting them onto the court and potentially finding a Wimbledon champion. Here’s hoping!